RIDGELAND, Miss., – Zenith Education Group, a newly created nonprofit provider of career school training, announced Tuesday that Troy A. Stovall, a former Butler Snow Advisory (BSA) Principal, would serve as the organization’s interim president. 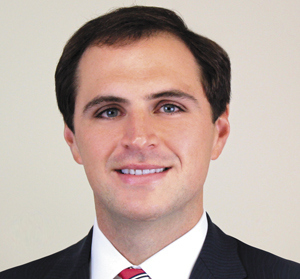 Stovall joined the BSA team in September 2013 and advised clients nationwide as part of the firm’s service offerings. Before joining BSA, Stovall founded and served as managing member of LeMaile Stovall LLC, a management consulting firm serving for-profit and nonprofit firms focused on strategy, operational performance and fundraising. He also previously served as executive vice president and chief operating officer of Howard University and as senior vice president and chief financial officer of Jackson State University (JSU). In both roles, he led various construction, renovation, educational and information technology projects including: a redesign of benefits at Howard University that resulted in a $9 million savings, the launch of Howard’s online executive MBA program, and more than $300 million in new construction and renovation projects at JSU. Read the Zenith press release or visit www.zenith.org for more information. Butler Snow Advisory is a subsidiary of the law firm of Butler Snow LLP. With offices in Memphis and Nashville, Tenn. and Jackson, Miss., BSA works with clients throughout the country as they address their most critical challenges and opportunities, helping to lead their businesses through periods of growth and transformation. For more information, see the About Us section.